At least six presidents and other high government officials openly supported the right to “teach the controversy” about the topic of origins and to avoid indoctrination in Darwinism. Although the play was widely believed to be an accurate synopsis of the historical trial, often called the Trial of the Century, it grossly distorted the actual events of history. Dr. Jerry Bergman discusses why some have rejected Darwinism and embraced the biblical account of creation. 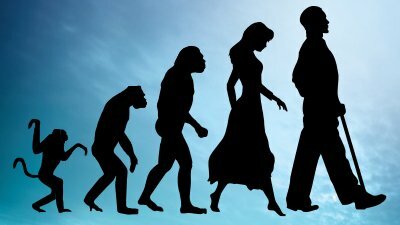 According to Darwinian theory, women were less evolved than men, and because of their smaller brains, they were “eternally primitive,” childlike, and more. Although naturalistic evolution is now accepted as ‘fact’ both by many scientists and non-scientists, most of them have not carefully considered the other side. All of the extant evidence reveals that there is nothing living on earth, either animal or plant, that did not receive its life from previous life, its sexual or asexual parent. the last dodo died in the late 1600s. A careful recent examination of the dodo has revealed that many common perceptions about the bird are incorrect. New 'proofs' such as the guppies and the nematode are regularly voiced by evolutionists and just as regularly forgotten without the public ever hearing that they support creation. One of the most fascinating stories about the effects of evolution on human relations is the story of Ota Benga, a pygmy who was put on display in a zoo. Scientists have found God’s greatness even in one of the most minute phenomena—human tears. Is There Any Such Thing as a ‘Higher’ Creature? The so-called ‘simple’ and ‘primitive’ eye of a trilobite is an incredibly complex optical system. If the mammary glands, or breasts of animals that nurse their young, evolved slowly over millions of years, how did the young survive until these complex organs were perfected? Man is proud of his ability to travel at breathtaking speeds in his machines.